Thanks to everyone who's e-mailed in the last few days saying "where the hell are you" or words to that effect. I didn't mention it pre-departure but Aileen and I are enjoying a little Spring break. We've rented an RV and are on a two-week Californian road trip. 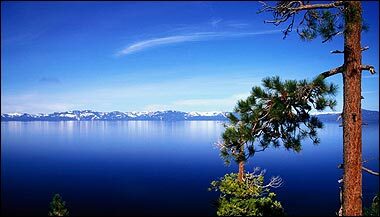 We're currently amid the splendour of lake Tahoe. You may find Yosemite outrageously busy as that seems to be the destination for Southern Californians. However, like most National Parks, if you walk five minutes away from the road along any trail, Yosemite is a wonder to behold and the density of people will drop dramatically. That's a gorgeous photograph. Lucky gits. Have fun!